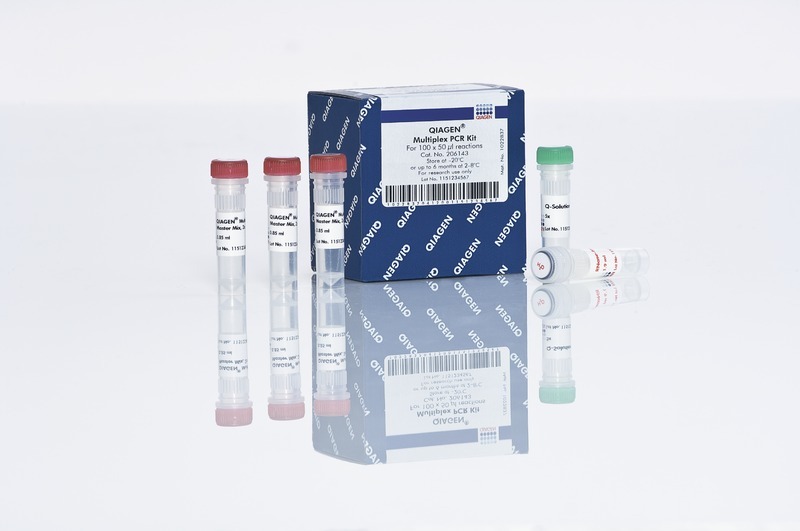 The QIAGEN Multiplex PCR Kit is available in a convenient ready-to-use master mix format. The QIAGEN Multiplex PCR Master Mix includes HotStarTaq DNA Polymerase and a unique PCR buffer containing the novel synthetic Factor MP. Together with optimized salt concentrations, this additive stabilizes specifically bound primers and enables efficient extension of all primers in the reaction without the need for optimization. Q-Solution, a novel additive that enables efficient amplification of "difficult" (e.g., GC-rich) templates, is also supplied.